Reciever is delivered with all our NTP Servers. High sensitivity External GPS receiver. Chipset Built-in GPS ceramic Antenna. 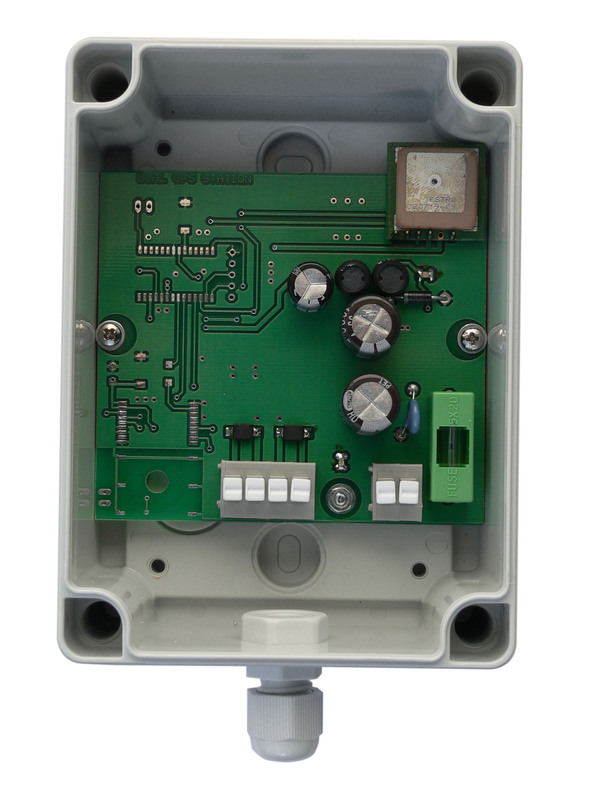 Wall mounting - IP65 plastic case. Please click on the picture to see electronics. Delivered with 5m TP cable as a sample of connection to server. Its for simpliest way to try functionality of NTP server. In package is MALE DSUB9 connector also. ( used is standard worldwide CANON DSUB9 connector). Receiver is powered from NTP server. Max cable length to server: 200m (Twisted pair cable). For cable wiring see NTP server topology. Operating temperature: -25 .. 65 'C. On Board Active Ceramic Antenna. 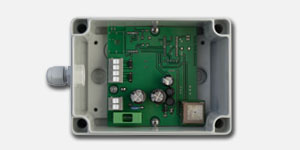 GPS receiver chipset type: FASTRAX. -PPS pulse ( 1Pulse Per Second, Rising edge informs about second validity). PPS pulses are generated by receiver only if time FIX is valid, approx. up to 4 minutes after GPS cold start. Outputs are powered by standard RS485 drivers with 100 Ohm resistors as end cable terminals to prevent glitches from other devices. All GPS receivers are tested indoor, near the our laboratory window, with minimal 6 sats in view. We recommends before the installation, testing the GPS signal quality; we note that very high buildings decreasing GPS signal quality.